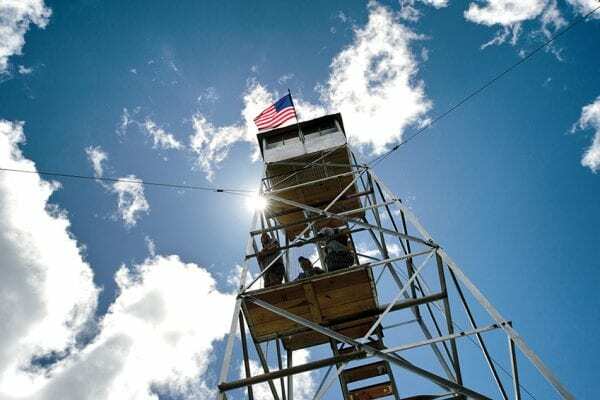 The state Department of Environmental Conservation’s closure of the Wakely Mountain trail once again raises questions about the future of the fire tower on the summit. DEC closed the tower in December because of structural defects and this week closed the hiking trail too, lest the tower collapse and injure someone. 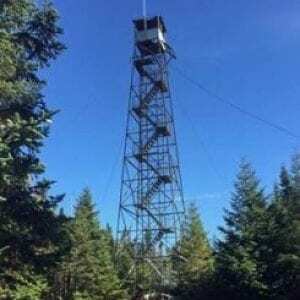 Wakely Mountain fire tower. NYSDEC photo. “The condition of the tower has worsened and it is possible the tower may collapse in heavy winds,” DEC said in a news release. DEC spokesman Benning Delamater said two of the tower footings and their anchor bolts (which attach the tower to the footings) are damaged. The department says it plans to fix up the structure as soon as possible. About a decade ago, some environmental groups were calling on DEC to remove the tower. Wakely Mountain abuts the Blue Ridge Wilderness, where towers and most other man-made structures are not allowed. Because of the tower, the 3,744-foot summit is classified as Primitive. Built in 1916, the tower has not been staffed since 1988. 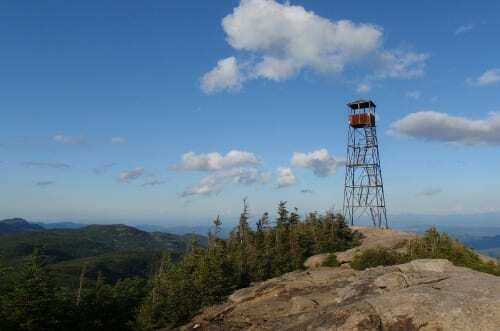 When DEC drafted a unit management plan (UMP) for the Blue Ridge Wilderness in 2006, the Adirondack Council and some other groups argued that the tower should be removed and the summit reclassified as Wilderness. However, the public by and large favored keeping the tower. From the tower’s cab, hikers enjoy a superb panorama of the central Adirondacks. Without the tower, which is a National Historic Landmark, there are virtually no views from the summit. DEC opted to retain the tower (and the Primitive classification) and use it to house a radio repeater to improve communications during fire-suppression and search-and-rescue missions. Willie Janeway, executive director of the Adirondack Council, also said DEC should take a second look at whether the tower is necessary. “We would like to see a plan developed and consideration given to removal of the tower, restoration of the wild character of the site, and reclassification of the site to Wilderness per the SLMP,” he said. But Delamater said DEC is not considering removing the tower, despite its structural defects. There also are an old cabin and a helipad on the summit. Peter Bauer, executive director of Protect the Adirondacks, said both should be burned, but he said DEC is within its rights to fix up the tower. The Wakely trailhead lies off Cedar River Road near the Moose River Plains. The trail to the summit is often steep, gaining 1,635 feet over three miles.